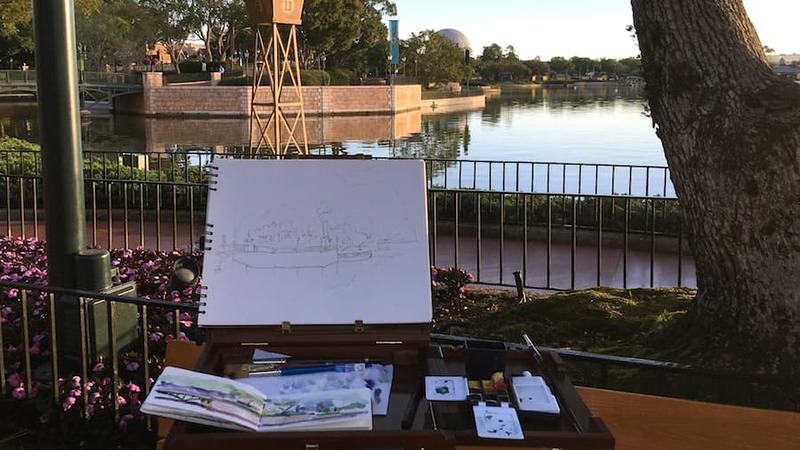 Each month I will be sketching from the field or Plein Air, as it’s called in the art world, from a new, inspiring location in our Disney Parks and then sharing my sketches and experiences here on the blog each time. 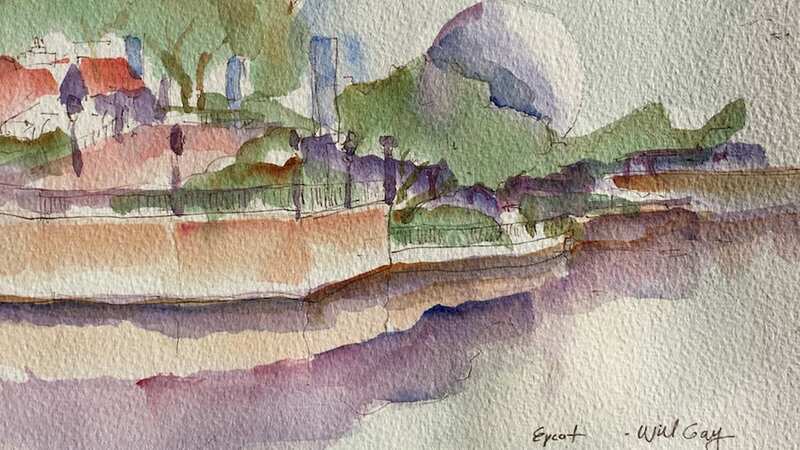 Today, I continue my Sketches from the park series as I started off early this morning with a fantastic view of Epcot’s World Showcase Lagoon. I was immediately taken by Spaceship Earth looming in the distance, which started to get a great highlight from the sun rise this morning as it hit the edge of the giant sphere. Then, I sketched in a few details around as I noticed all the colors coming together and these great reflections in the water in the foreground. 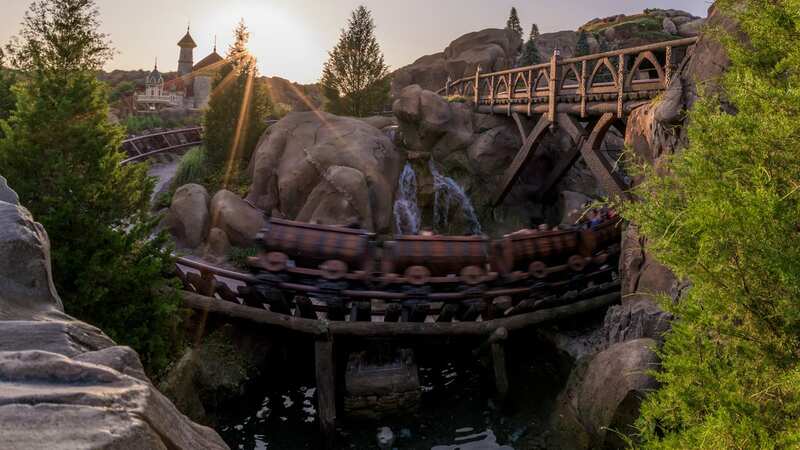 There is nothing quite like experiencing that sunrise in World Showcase as everything starts to come alive when the sun starts to hit all the countries and awaken them before your eyes. It really is a special moment in the morning that inspires me every time I am out there sketching in the park. 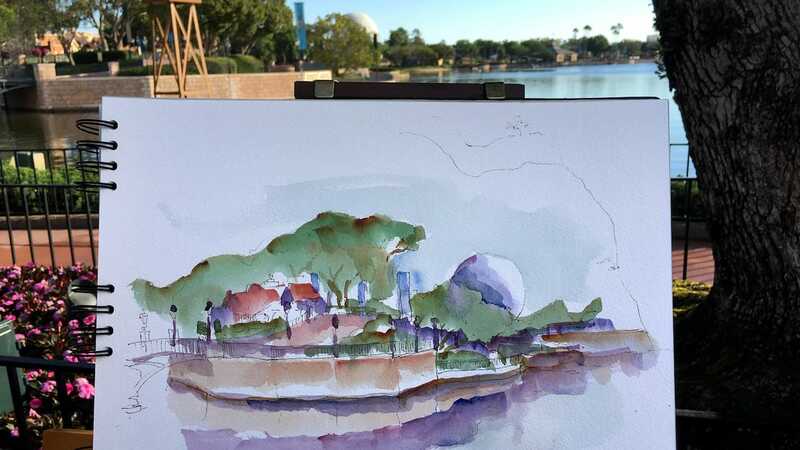 I hope you enjoy the art and keep your eye on the Disney Parks Blog for my next sketch from a new location next time in our “Sketches from the Park” series. And be sure to check last month’s sketch I did from the Norway Pavilion at Epcot. See ya next time! Another great sketch and this type of view is one of the reasons we take advantage of the extra magic hours at this park.